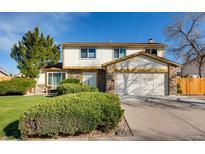 Below you can view all the homes for sale in the Meadowood subdivision located in Aurora Colorado. Listings in Meadowood are updated daily from data we receive from the Denver multiple listing service. To learn more about any of these homes or to receive custom notifications when a new property is listed for sale in Meadowood, give us a call at 720-580-6694. Great location close to shopping, highway for easy commute, and close to light rail station. MLS#5508535. Crocker Realty, LLC. Please call and make a appointment today to see it. MLS#3346640. Keller Williams DTC. Approximately 1 mile to Cherry Creek Reservoir. Ready for move in! MLS#5849638. Keller Williams Realty Urban Elite. Huge fenced backyard with raised gardens, 12 x 8 shed, 16 x 16 gazebo, 12 x 9 deck off kitchen and swing set. (SWING SET INCLUDED!) MLS#6679044. Keller Williams DTC. Great price do not let this one get away. MLS#6559424. Coldwell Banker Residential 44. This home is very warm and welcoming from the minute you arrive. Must see! MLS#9385878. RE/MAX Momentum. Seller Is Looking To Move On To The Next Phase In Life And Selling "as Is" MLS#2793868. Porchlight Real Estate Group. This corner lot offers plenty of parking in addition RV parking for recreational toys and new cooler for those hot summer days! MLS#2498996. DG REALTY & ASSOCIATES LLC. This Home is a Rare Find! MLS#5625709. MB The Brian Petrelli Team. Hurry in and see this wonderful home today! MLS#9075099. Your Castle Realty LLC. Great neighborhood. Hurry at this price. MLS#4471360. MB ZIMMERMAN & ASSOC. Tons Of Upgrades. A Great Value! ! MLS#7402301. MB EXECUTIVE REALTY & INVESTMENTS.